Ecolibrium3’s mission is to lead and inspire change in our community toward an equitable and sustainable future. We accomplish our mission through renewable energy and efficiency programs, revitalization leadership in the Lincoln Park neighborhood, and capacity building on community anti-poverty programs through the Ecolibrium3 VISTA Corps. Our work has been nationally recognized for effectiveness and impact. 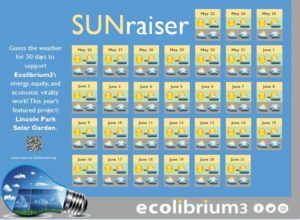 Can you guess Duluth’s weather for 30-days and help support the work of Ecolibrium3? Join the SUNraiser Challenge by May 15th! Ecolibrium3 is developing a 40 kW solar array at the northeastern entrance to Lincoln Park. The power from the array will benefit the Duluth Veterans’ Place transitional housing and provide long-term funding for an Emergency Energy Fund to help families that are struggling to pay their utility bills. An investment today will benefit our community for the next 25 years! Provides power to the Duluth Veterans’ Place transitional housing for homeless veterans. Assists low-income residents experiencing energy poverty. Creates new gateway to the Lincoln Park neighborhood. Develops community space for energy education. Establishes 25+ years of benefit to the community. 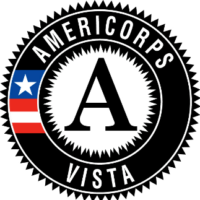 AmeriCorps VISTA Positions Available NOW! Ecolibrium3 developed an AmeriCorps VISTA program to assist local organizations in their anti-poverty approaches. VISTA members build capacity of local organizations to address community challenges like housing, educational equity, access to healthy food, neighborhood revitalization, energy poverty, opioid addiction, and disaster preparedness. In partnership with the US Department of Energy’s Solar Market Pathways program, St. Louis County, the City of Duluth, the University of Minnesota Duluth’s Geospatial Analysis Center, and the National Renewable Energy Lab, Ecolibrium3 has released an interactive map of over 60,000 buildings in the City of Duluth. The Duluth Shines! Solar Map allows residents and businesses to see how much rooftop solar energy could be produced on their buildings. 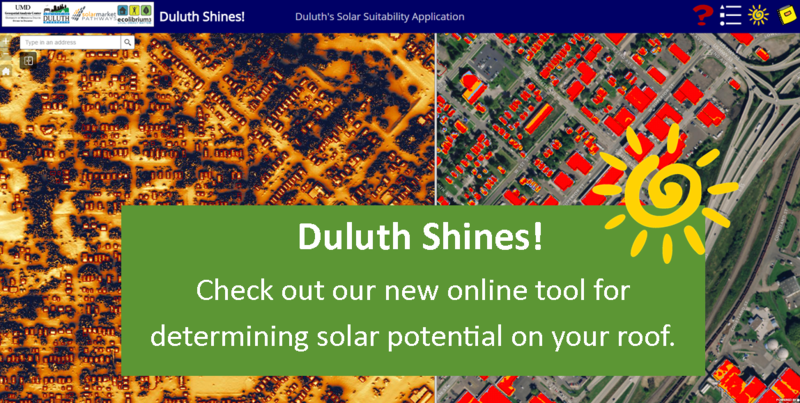 The map works with a MN DNR calculator that demonstrates solar installation costs, energy generated, incentives available, and return on investment. Ecolibrium3 can assist you on using this tool for a free solar assessment. Call 218-336-1038 or click the map. Hey, Ecolibrium3, I love what you're doing! Would you like to support the work we do at Ecolibrium3? If so, you can make a donation through giveMN.org. Thank you!